Walls have been a particular puzzle as I really love bright, warm colours. Having bought dozens of little test pots of paint, I decided to first move into a white flat to see how the light in the flat worked once we were in the apartment. It turns out this was a smart move, as Parisian apartments tend to be white for a reason — we need all the brightness we can get! So I have gone back to the drawing board as I do like the idea of a different design element — especially in the girls’ rooms. I’ve been playing around with the idea of wallpaper. I think it could make a room really special to add wallpaper to one wall. 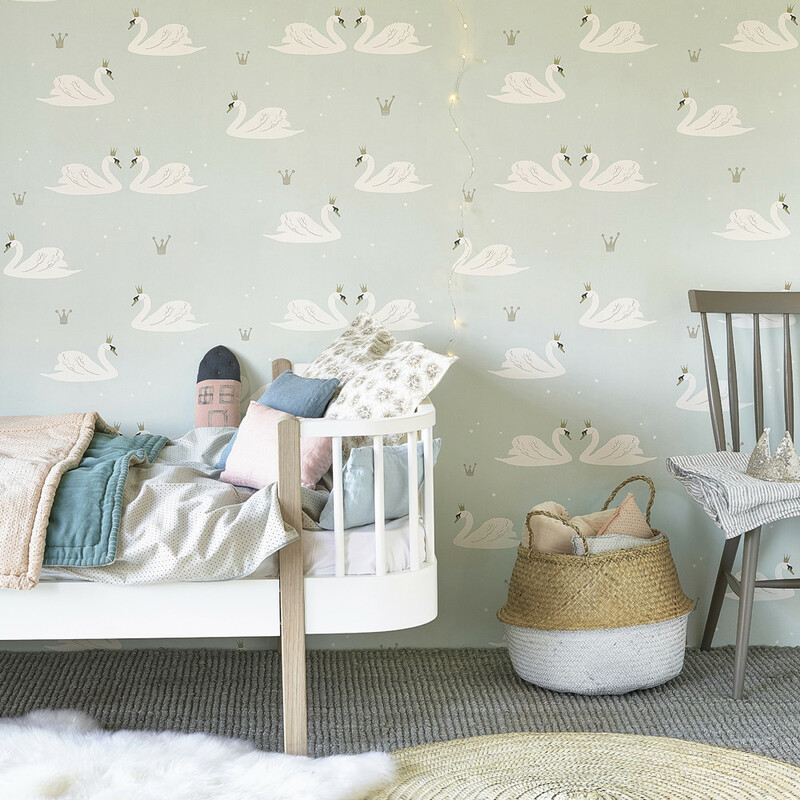 One of the brands I have been browsing is the lovely Hibou Home who make beautiful wallpaper and interior decorations specifically for kids. I love the fact that all of their designs are playful and sweet so that they work really well within a child’s environment, but are at the same time stylish enough to fit into the overall mood I am trying to create in our home. As we live in a flat where all rooms open into our main living space, I want to make sure everything works well together. How pretty is the new Swans wallpaper featured above? 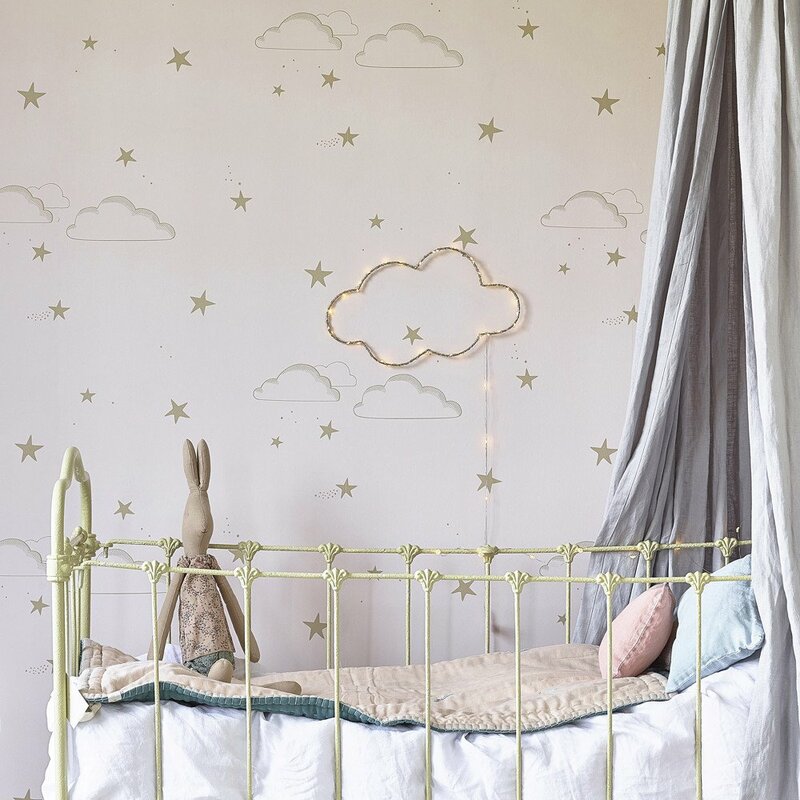 Hibou does not only do wallpaper but also very sweet bedlinen, cushions, and bedroom decorations. 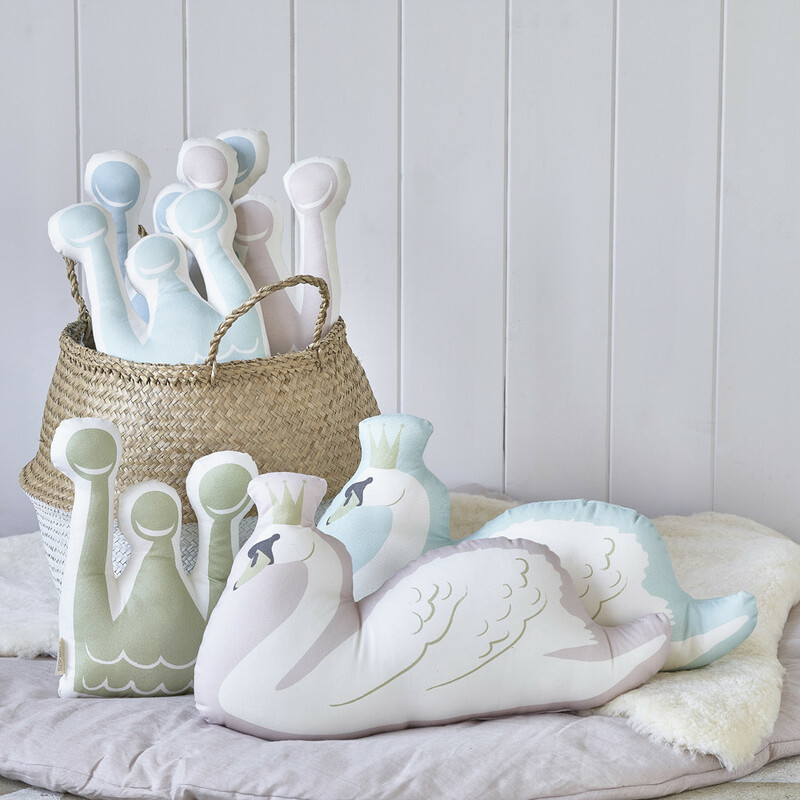 I love the collection of matching swan and crown cushions to match the wallpaper. 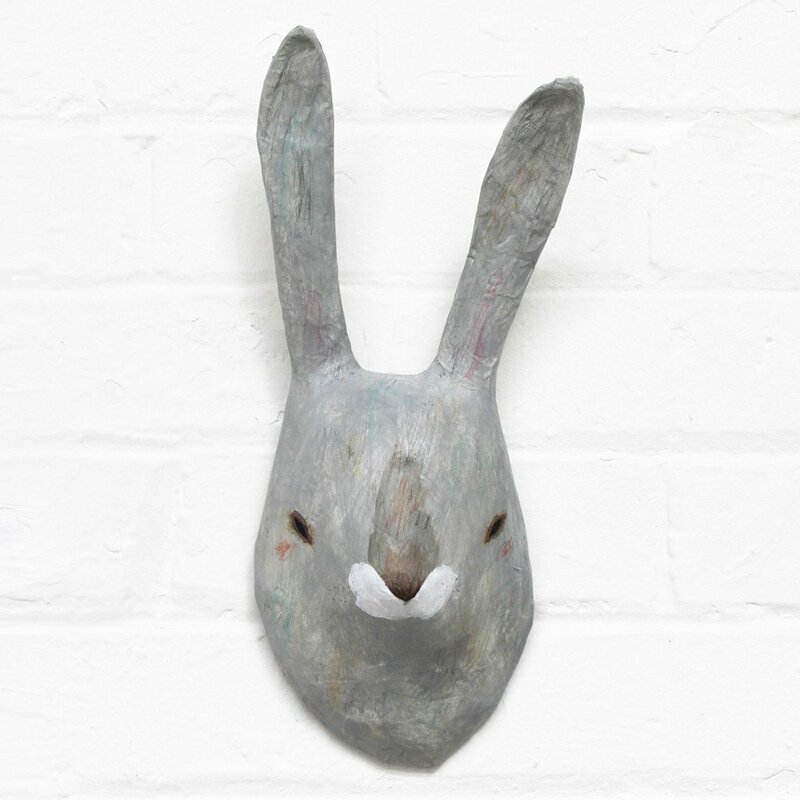 And my personal favourite — their paper mâché animal heads. My youngest’s first words were “I am a rabbit” so rabbits have become a bit of a spirit animal for her. How cool is this one?? All of the Hibou Home creations are made and designed in the UK and printed on sustainable and ethically sourced paper, which is great news as I am trying to stay as local and environmentally conscious as possible in the decorations I choose for a new little home. This post was sponsored by Hibou Home, a valued member of our shopping portal. All opinions are entirely my own.